In the third installment of the He Shall Be Called series, Pastor Joel gives us a new and relevant perspective on the Savior who was born in a manger over two thousand years ago. Wonderful Counselor, Mighty God, Everlasting Father, Prince of Peace. Jesus goes by many names, but what do they really mean? 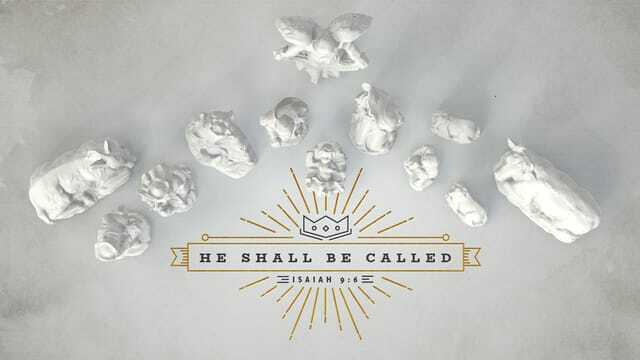 Join us this holiday season as we discover why He Shall Be Called. Our Everlasting Father is ___________. sar (sar); the one in charge, lord, chief, general. shalom (shaw-lome'); rest, tranquility, wholeness, completeness.